The OpRisk Lighthouse Model is an automated solution which provides methodology, structure and integrated parameters to model operational risk using the advanced measurement approach consistent with the Basel Committee on Banking Supervision guidelines. The model has been validated by independent model validation firms for several subscribing banks. We also provide operational risk model validation services to banks. The use of the AMA requires the implementation of risk management processes and measurement components that are forward-looking. Implementation of the AMA has a positive impact on reputation and perception by stakeholders. More sophisticated and advanced risk management sends a clear message of a sound risk management culture to shareholders, clients, rating agencies and the market. Additionally, the use of the AMA often results in capital savings under the Basel framework. 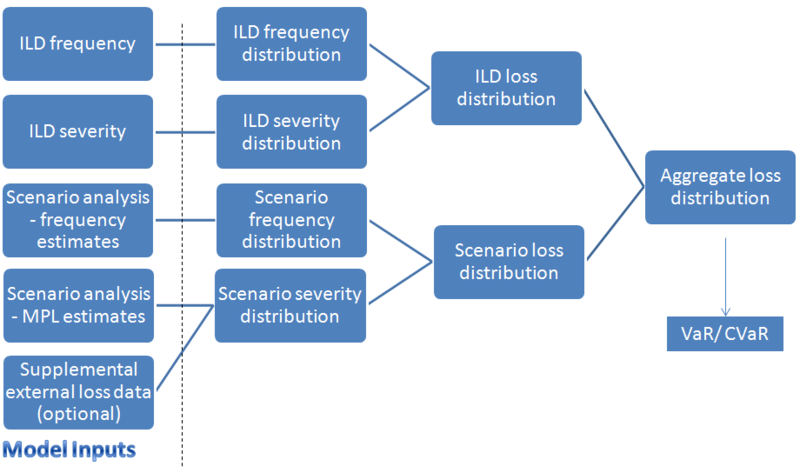 The OpRisk Lighthouse Model includes integrated parameters based on external loss data. When applied to your institution’s scenario analysis results and internal loss data, a capital model is produced which is compliant with all requirements of the Basel framework. 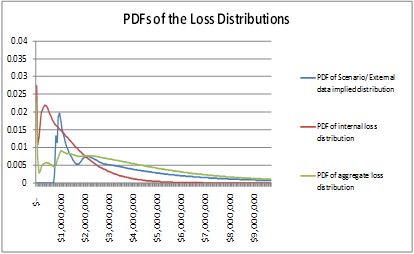 The OpRisk Lighthouse Model produces an aggregate operational loss distribution, which is critical to calculating capital requirements. 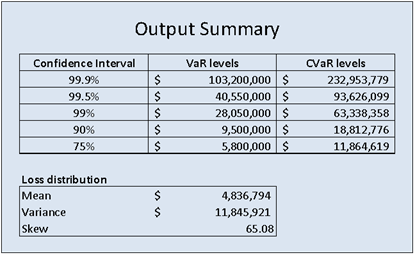 4) Value-at-Risk (VaR) and Conditional Value-at-Risk (CVaR) at any confidence level. The OpRisk Lighthouse Model is easy to use, validated by independent validation firms, and satisfies the Basel Committee’s Advanced Measurement Approach requirements for operational risk. Please contact Risk Lighthouse for licensing information. The OpRisk Lighthouse Model is available for licensing, including technical support, for an affordable annual subscription fee. A licensing quote is available upon request.